Fishing Boat used for light weekend fun. The "Lemon Drop"is a great Yellow hull boat. Twin 225 HP Yamaha 4 Stroke outboards with 250 hours each. 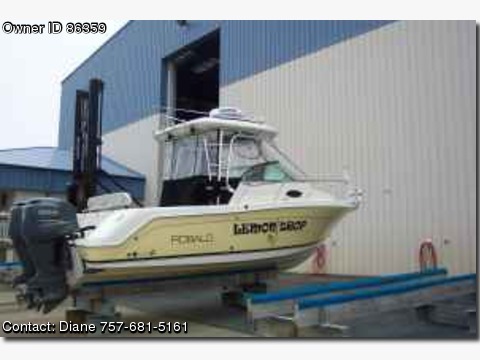 Equipped with Garmin radar, GPS and sonar. Also equipped with JVC stereo/CD, Sirius satellite radio and 6 speakers. Cabin has refrigerator, microwave, head and dinette/sleeping area.